Owner Thanos Patsiouras chose his restaurant’s unassuming location because he enjoys the neighborhood and catering to families. There are some words that cannot be said quietly. They must be spoken with exuberance and passion as they invoke a celebration of life. These words demand to be shouted to garner enthusiasm and participation. This type of joyful feeling is what diners can expect when they join in hollering “Opa” over a delicious meal at Opa Grill. Thanos Patsiouras has been welcoming diners to Opa Grill in Parker since 2009. It makes no difference whether a customer is new or if they are a regular, Patsiouras is ready to make every meal memorable. Patsiouras chose his restaurant’s unassuming location because he enjoys the neighborhood and catering to families, and it takes only one meal at Opa Grill to realize that he truly enjoys making sure every customer feels at home. 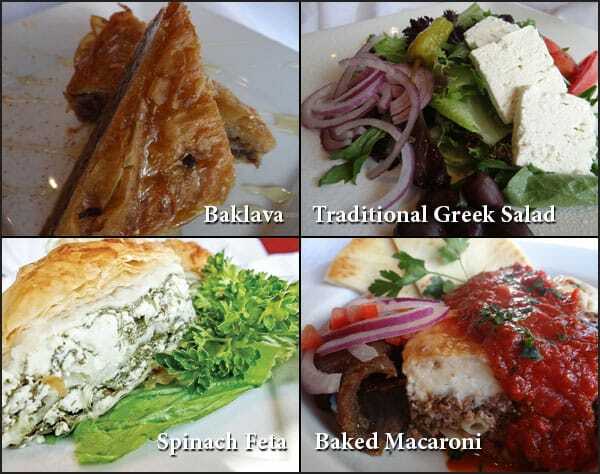 Opa Grill serves classic Greek dishes that are a part of an ancient culinary tradition dating back 4,000 years. When selecting menu items, Patsiouras looks to his childhood in Greece and dishes his mother made. Patsiouras fondly remembers picking vegetables from the family garden for meals that were slowly and lovingly prepared. Similar to his youth, Patsiouras uses only the freshest and highest quality ingredients, including extra virgin olive oil, Greek feta cheese and olives, as well as herbs such as thyme and oregano. Our lunch began with Tzatziki, which is a creamy yogurt sauce made with sour cream, garlic, and cucumber and served with warm pita bread. The combination of the tangy sauce with the soft pita was delightful. The Traditional Greek Salad, which is a customer favorite, had juicy tomatoes, crisp cucumbers, sliced red onions, plump Kalamata olives, and crumbly Feta cheese. What Greek meal would be complete without trying a Gyro? The Gyro platter came with sliced pita, flame-broiled shaved lamb in tender strips, basmati rice and vegetables, along with a side of Tzatziki sauce and was well-seasoned and flavorful. The side cup of Avgolemono, which is a traditional chicken and rice soup flavored with lemon and eggs, could have been a meal on its own with a side of pita. (The pita can easily be eaten with every dish!) Simple flavors, with quality ingredients made every menu item memorable. Opa Grill does a bustling lunch business. The staff is efficient and friendly, and they recognize diners have time constraints. Dinner at Opa Grill, however, is more of an experience. Table cloths come out, and it seems as if every other table orders Saganaki, which is imported Kasseri cheese that is pan-seared and flamed with brandy while diners shout “Opa”! Linger over sweet, crispy homemade Baklava, and remain immersed in the joyful, spirited atmosphere for a bit longer. Opa Grill is a moderately priced, full-service restaurant. In addition to the main dining room, there is also a modest bar area. It is a perfect restaurant for lunch, a date night, or a family celebration. A children’s menu is available for less adventurous eaters. Be sure to check out the seasonal drink menus for spring and summer, the monthly wine features at a discounted price, and half-price bottles of wine every Tuesday from 4 p.m. to 9 p.m. When asked what makes Opa Grill unique, Patsiouras credited long-term customers, as well as wait and kitchen staff, many of whom have been with Opa Grill since it opened. 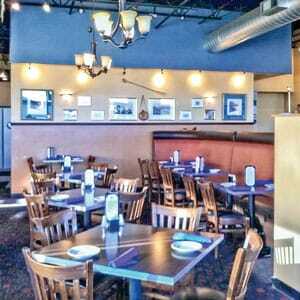 Consistently delicious food in an inviting and friendly environment makes Opa Grill a neighborhood favorite. Opa Grill rewards frequent guests with a loyalty card, which offers $10 off their tenth meal. Opa Grill is open for lunch and dinner with reservations required for weekend dinners. When asked what he would like readers to know about Opa Grill, Patsiouras said, “My staff and I are waiting to meet your expectations of a great meal.” That deserves an OPA! 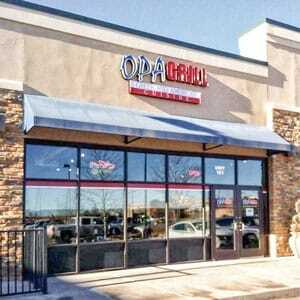 Opa Grill is located at 18366 E. Lincoln Avenue in Parker. Hours of operation are Sunday and Monday from 11 a.m. to 8 p.m. and Tuesday thru Saturday from 11 a.m. to 9 p.m. For more information, including a full menu, visit http://www.opagrillparker.com or call 303-841-7074.